Fear of dust and debris can be a big hurdle for many people to overcome whether or not to renovate. 68% of homeowners complain about the dust in their home during home improvement projects. The promise of a more functional, efficient living space is appealing but the upset of the air being filled and your home being covered with dust might have you second-guessing your decision. For some, dust is more than an inconvenience but can pose a threat to your health. 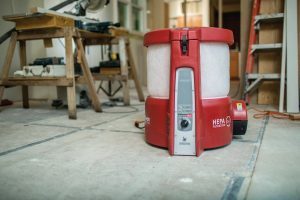 When you work with Nelson Builders, you’ll see the state of the art technology we employ to keep dust from dominating your home during the renovation process. 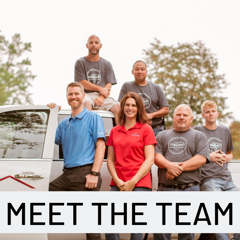 Our team utilizes BuildClean, a dust control system designed to keep your living space clean and livable throughout the renovation process. The BuildClean contains and eliminates up to 90% of airborne dust—to keep things comfortable for you and your family. While some dust is to be expected in any remodeling project, Nelson Builders is committed to doing our part to keep your home livable and the workspace tidy while we are in your home. Through the use of the BuildClean machine and through employing other best practices, we strive to ensure minimal disruption in your home. Control airflow by keeping windows and doors closed to the rest of the house and circulating clear, outdoor air during and directly after renovation work. At Nelson Builders, we pride ourselves in helping people like you achieve the home of their dreams with minimal disruption. Utilizing tools, such as the BuildClean, is one way we honor that commitment to our clients. Do you have a home renovation project in mind? Call us today or fill out an inquiry form to set up a consultation with our team.